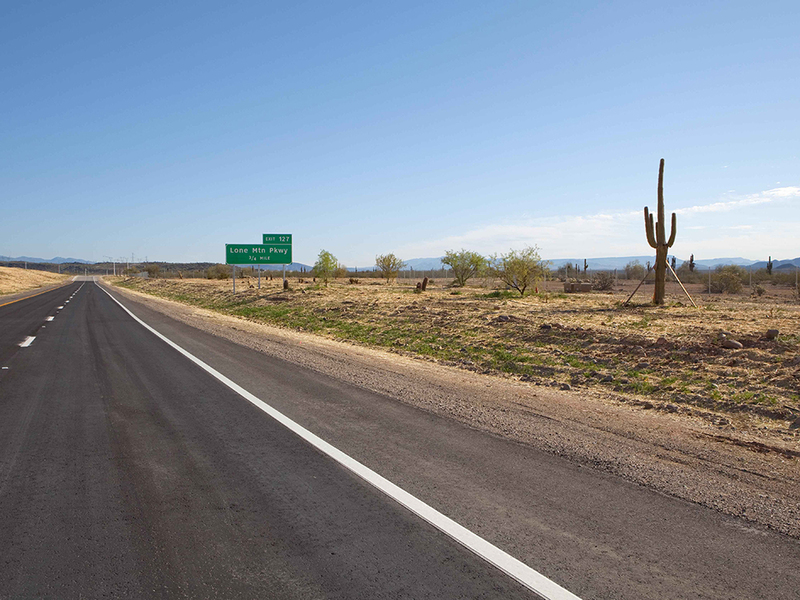 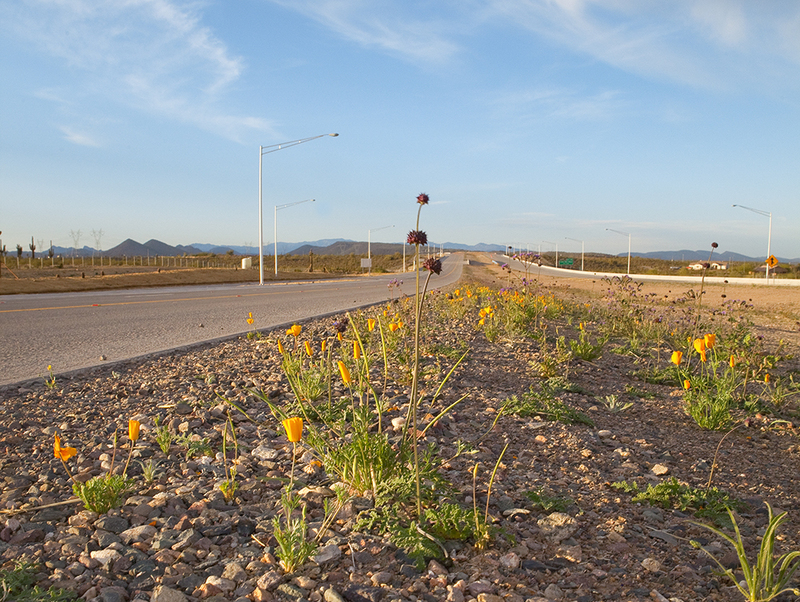 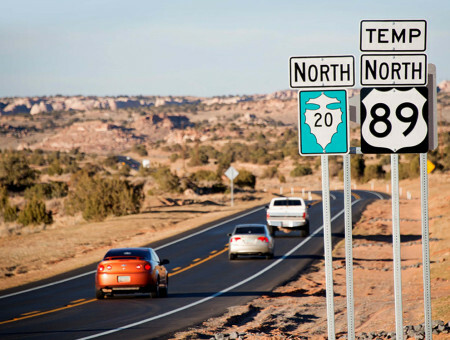 SR303L, Happy Valley Parkway to Lake Pleasant Parkway | AZTEC Engineering Group, Inc. SR303L, Happy Valley Parkway to Lake Pleasant Parkway | AZTEC Engineering Group, Inc.
AZTEC was the prime designer responsible for leading the post design services. 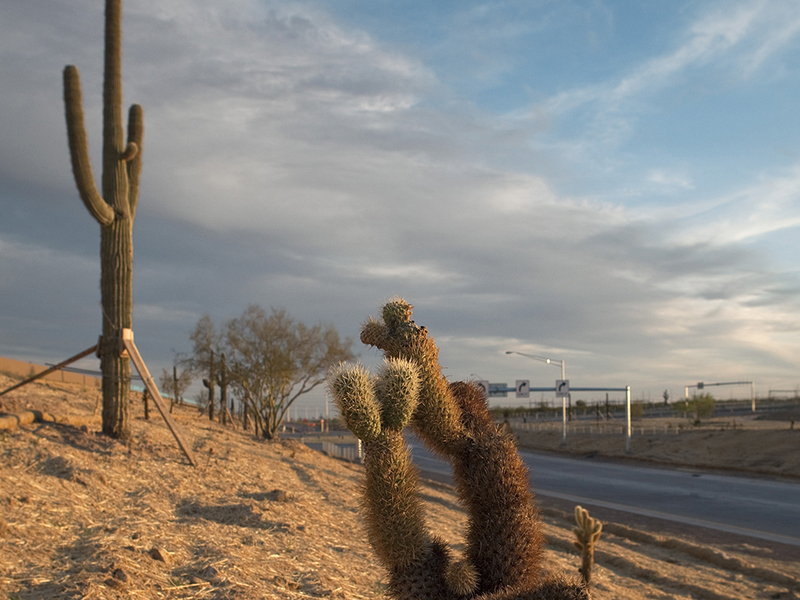 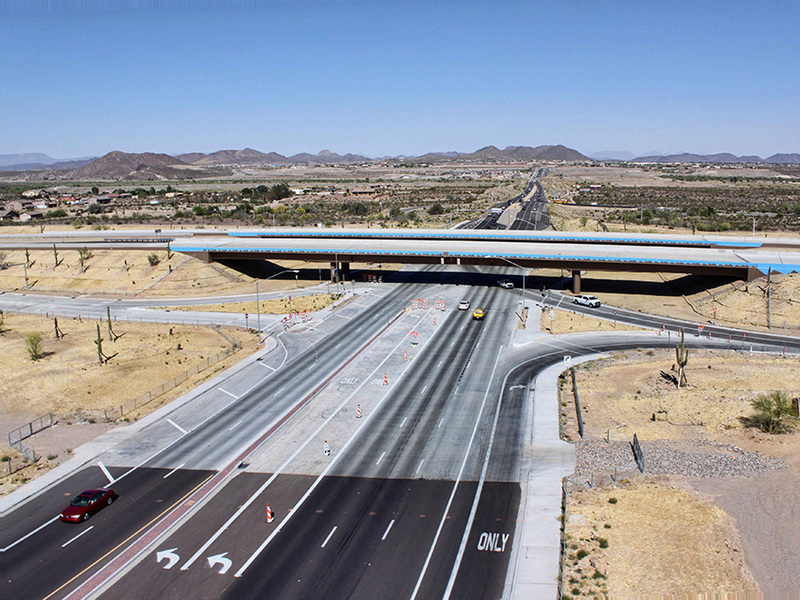 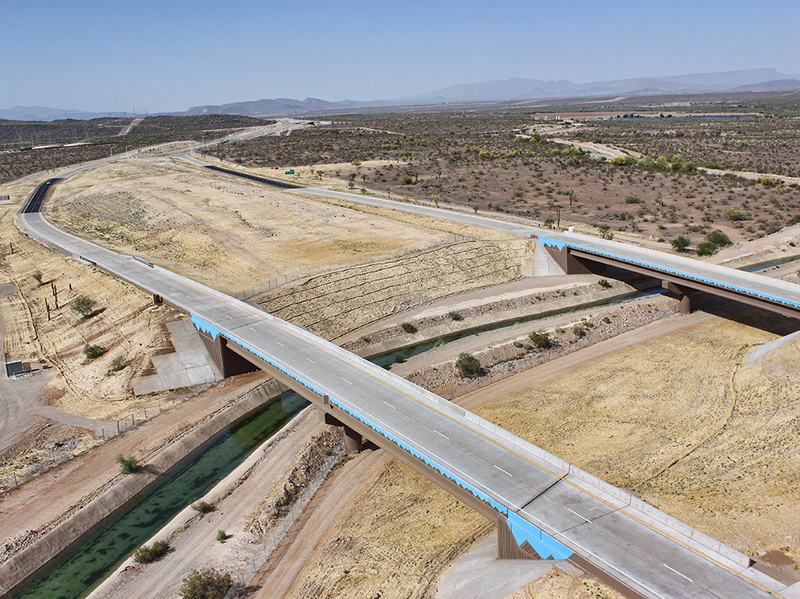 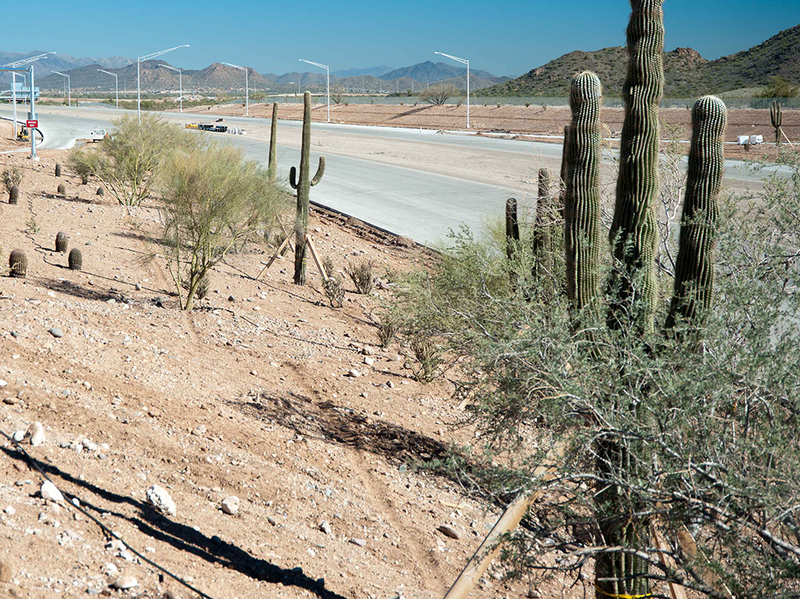 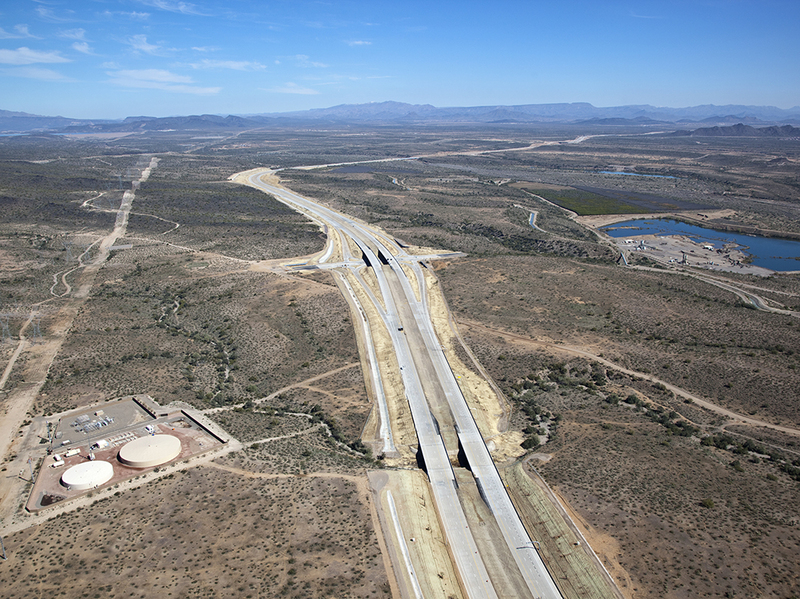 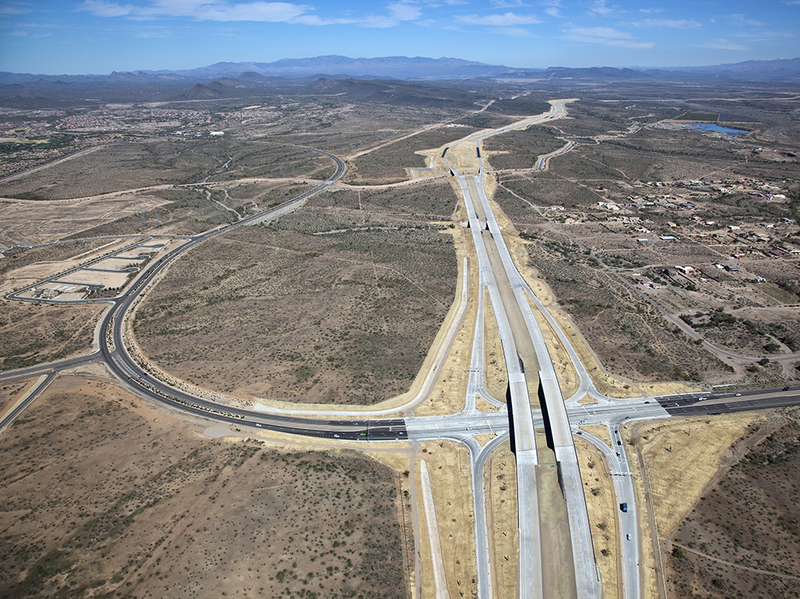 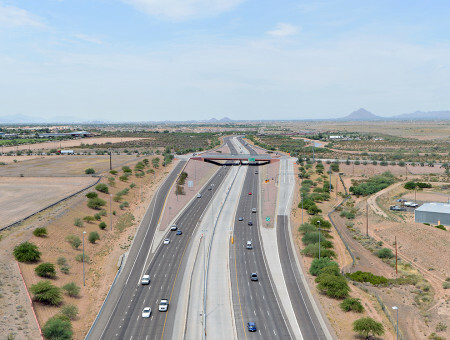 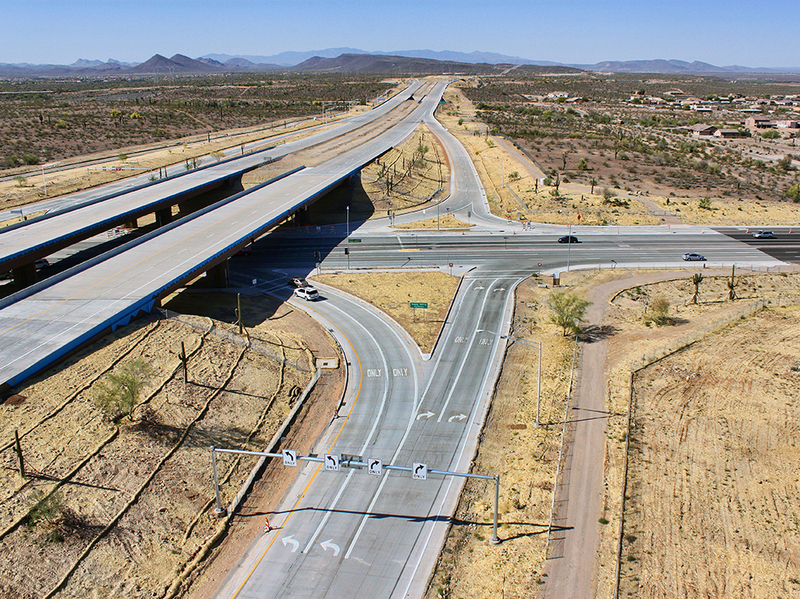 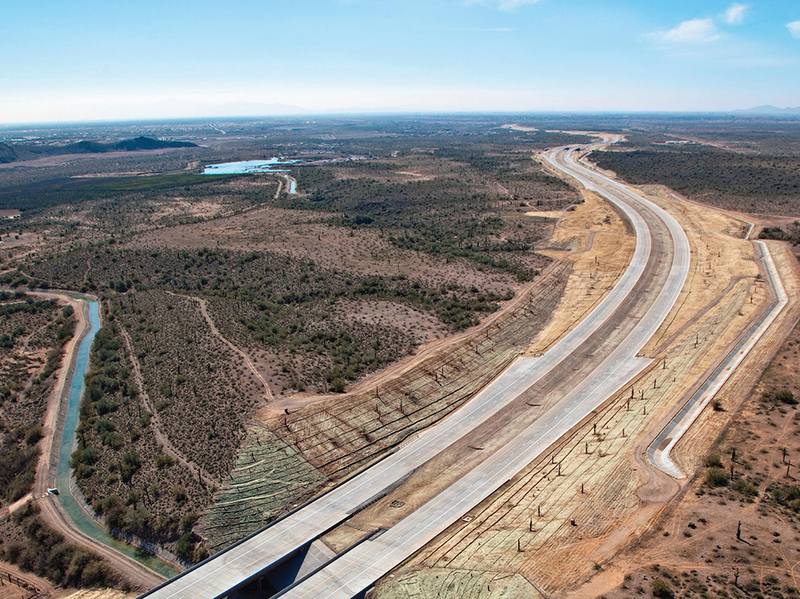 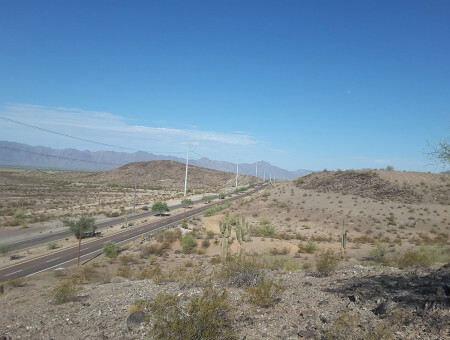 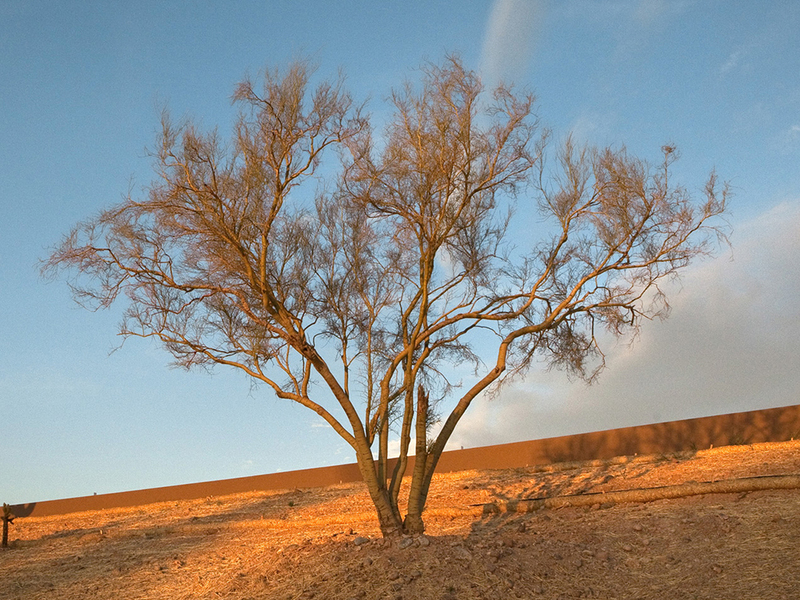 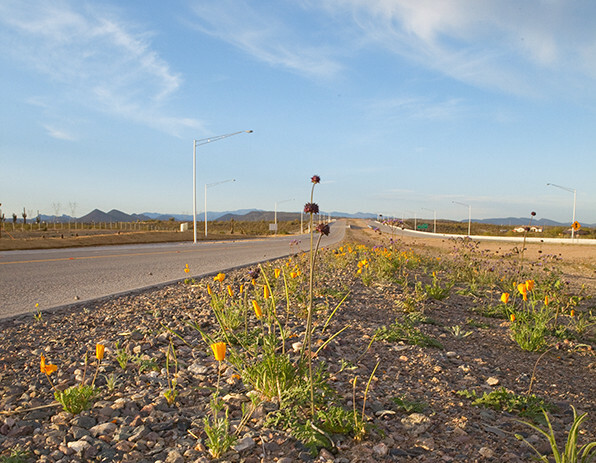 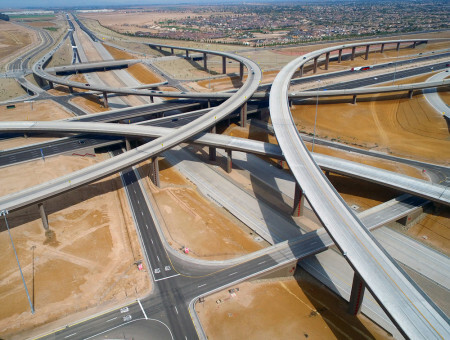 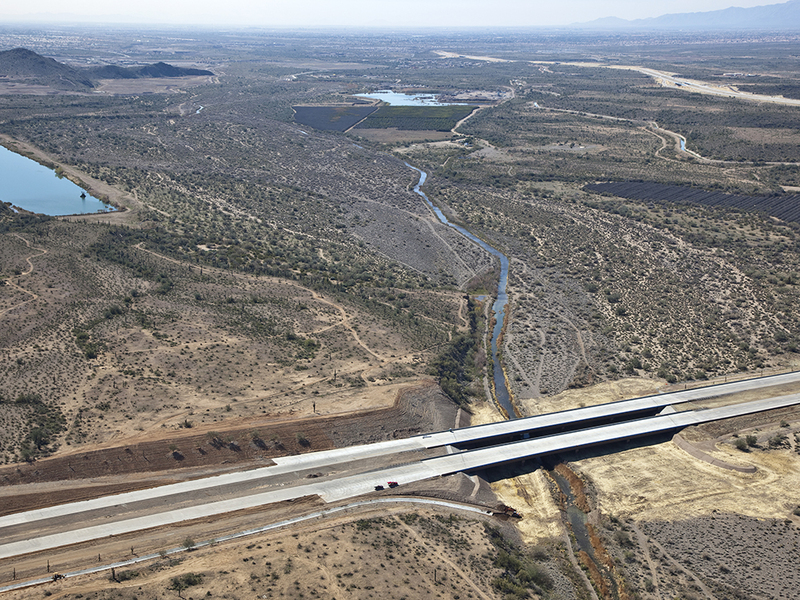 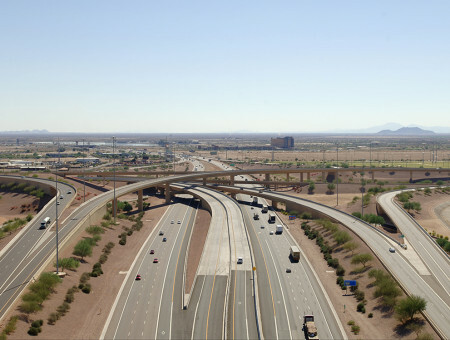 This project included a new seven-mile freeway through native Upland Sonoran Desert that included deep cuts and tall fills, three complete service interchanges with five new overpass/underpass bridges, 12 new bridges over canals, rivers and desert washes, a series of complex drainage channels, basins, a lift station, and phased implementation of more than four million cubic yards of excavation to provide for the ultimate six-lane facility. 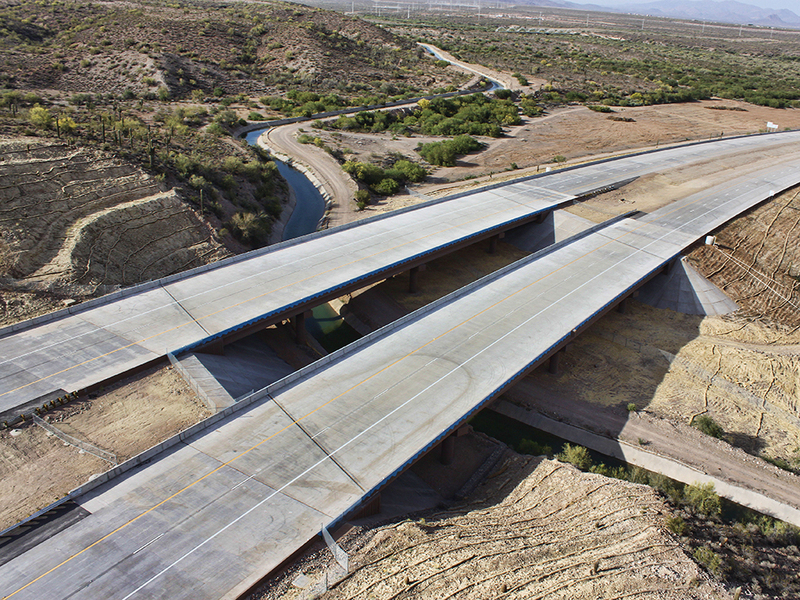 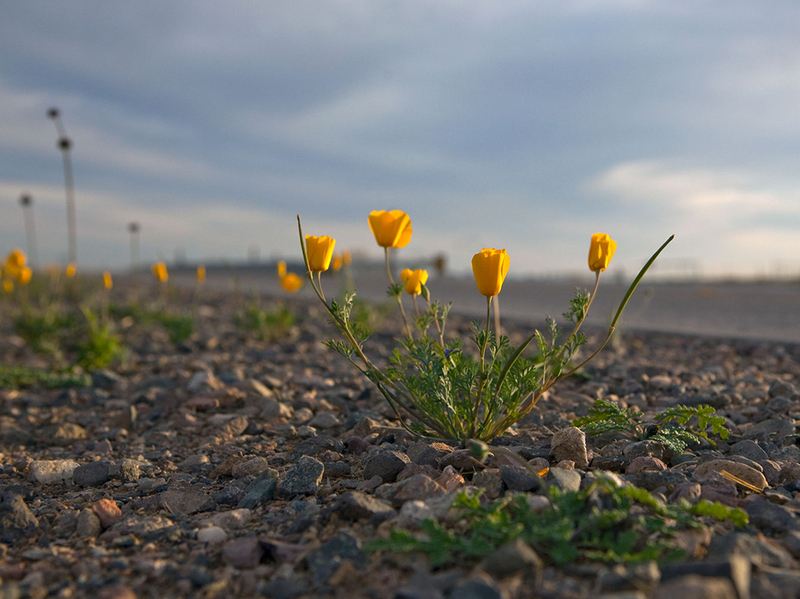 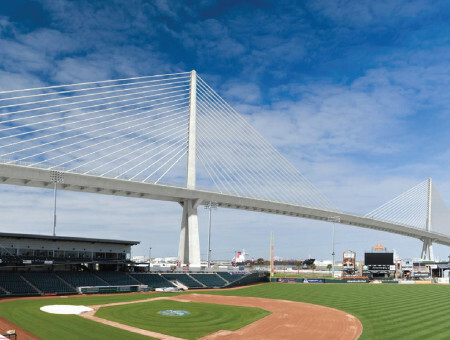 This project maintained balance between environmental stewardship, complex agency rights of way acquisition, and a fast-tracked design schedule that produced comprehensive construction documents in 14 months. 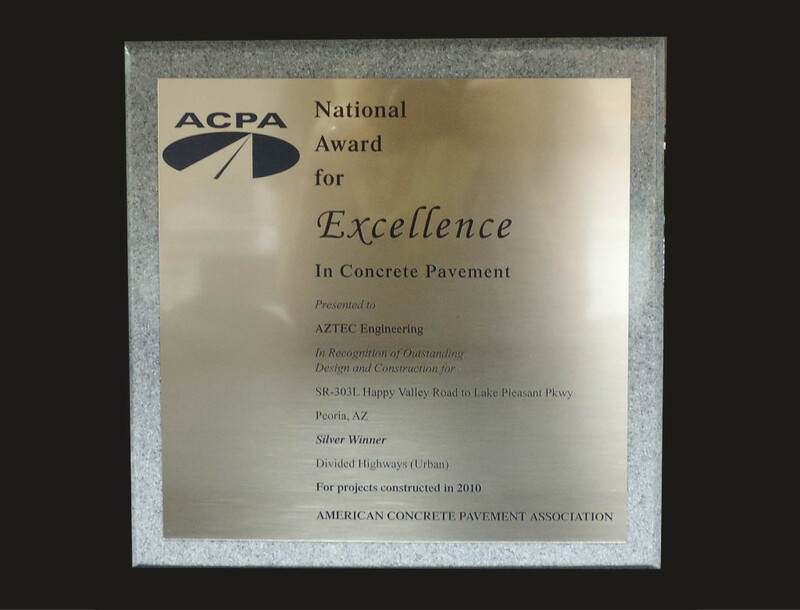 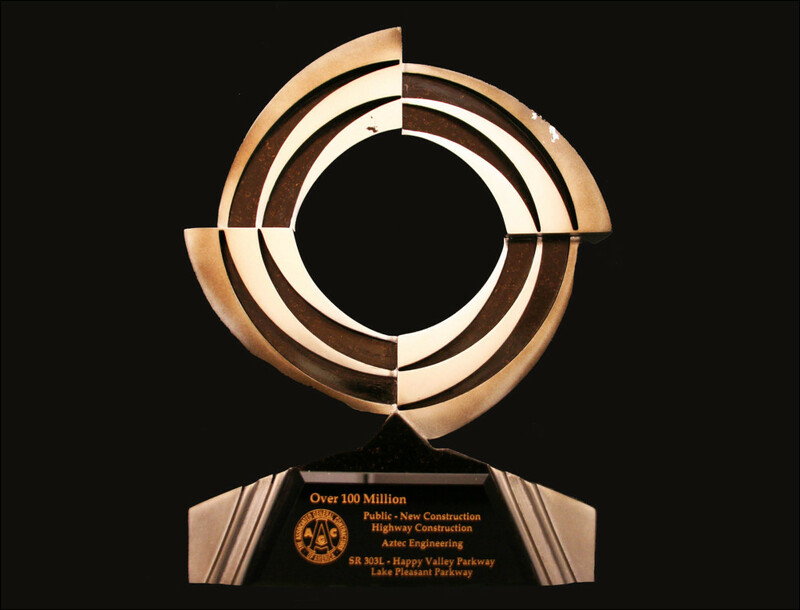 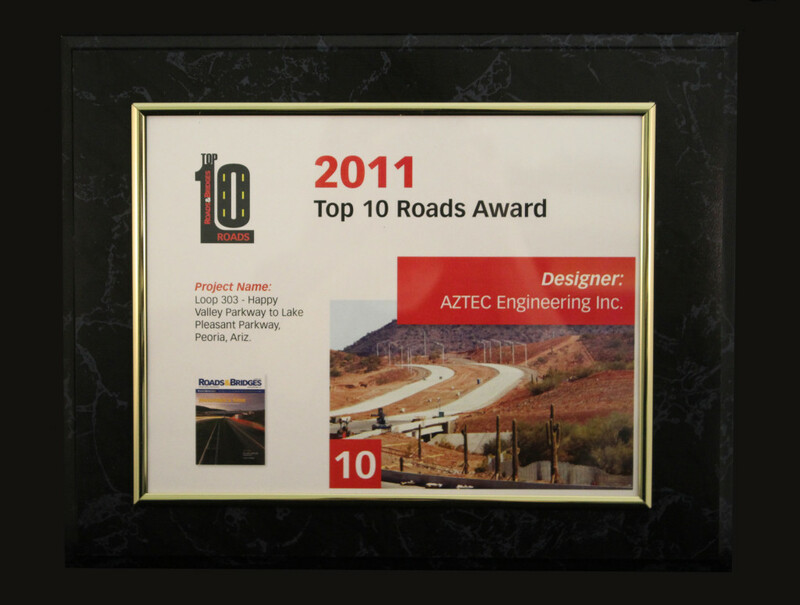 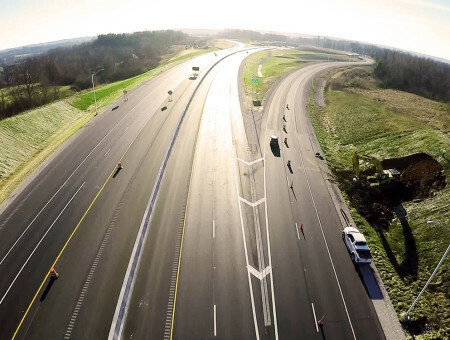 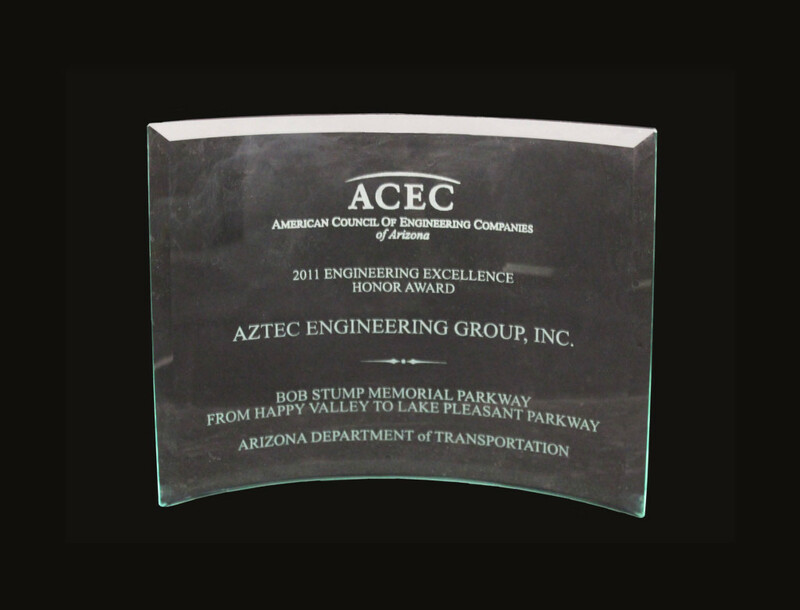 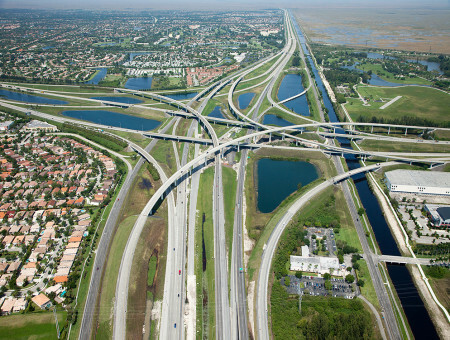 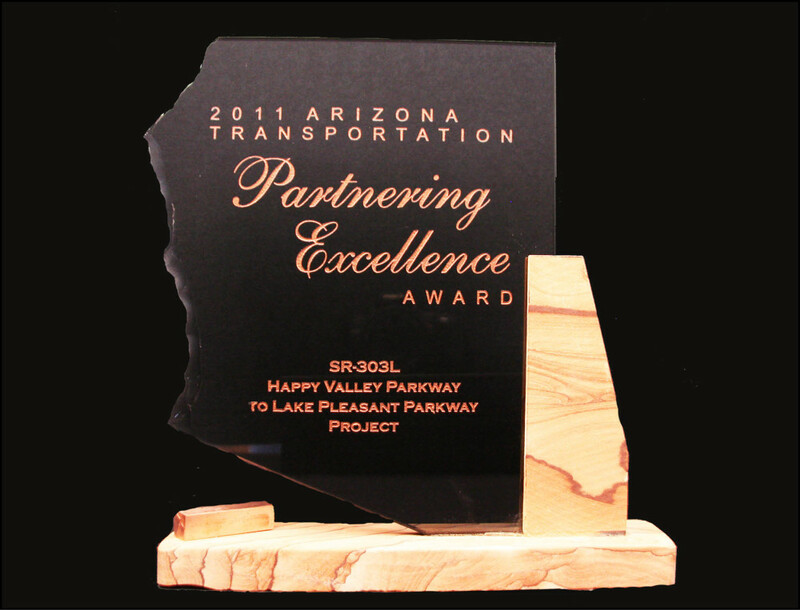 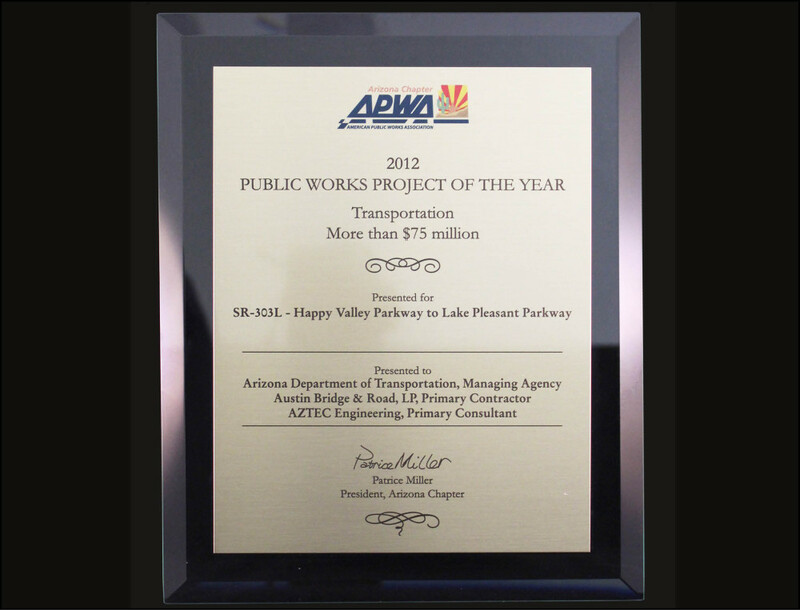 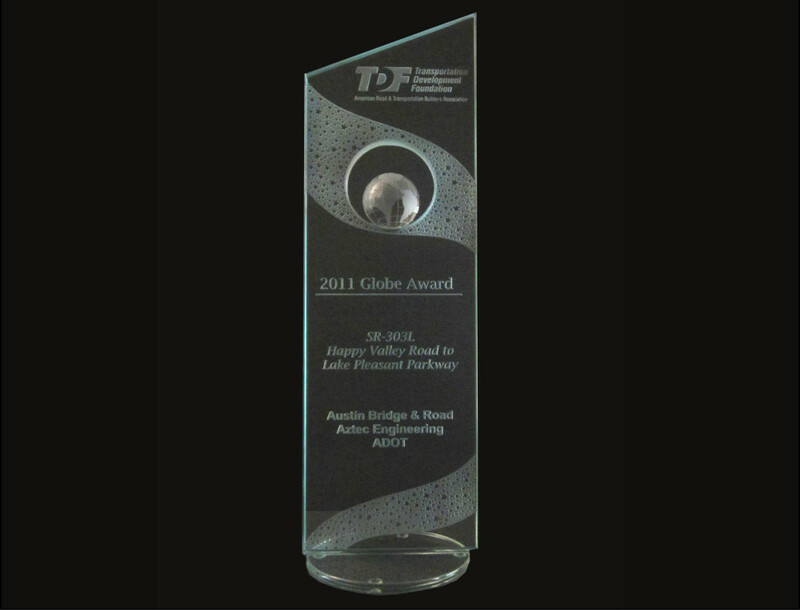 This important and award-winning project was successfully opened to traffic on May 13, 2011 to immediate and resounding accolades.